Running has got a lot to offer. When done properly, it can improve your physical fitness, emotional life, and overall health and well-being. Running is also one of the most popular forms of exercise in the world. Roughly one percent of Americans hit the pavement on a regular basis—that’s about 40 million runners and twice as many those who cycle or golf. Nonetheless, there’s is a dark side to the sport. Running is also associated with an increased risk of getting hurt as, injuries are common among runners. That’s where today’s post comes in handy. Whether you’re a beginner runner or an ultra-marathon athlete, running injuries are an unfortunate and inevitable part of training. You don’t believe me? Check out these shocking statistics. Up to 60 to 70 percent of runners suffer from at least one serious injury over the course one year, 50 percent of injuries are recurring injuries, according to the American Academy of Physical Medicine and Rehabilitation. That translates to up 20 to 25 million trainees getting injured every year. Said otherwise, half of the running population succumbs to injury one way or the other every year. Here’s the good news: None of these running injuries are without a solution. If you address them the right way, most conditions can be treated, even prevented from occurring. What’s going to help you is getting a basic education on the most common running injuries. By doing so, you’ll learn how to deal with them efficiently as well prevent any future ramifications. In today’s post, I’m sharing with you a jargon-free and easy-to-understand summary of these so-called common running injuries, along with the best ways of preventing and treating them. Note: Before we proceed, I’d like for the record to explicitly state that it’s beyond the scope of this blog post to provide detailed information about sports injuries without knowing all the symptoms. Every injury is unique, and to err on the side of caution, consult with a certified sports physician to determine the appropriate treatment options before you apply any of the advice shared below. First things first, what’s a running injury? And what’s causing it? The term “running injury,” basically, refers to any injury that occurs as a consequence of training. You injure yourself whenever you put a particular body part under excessive stress that it can no longer function properly. This can force you to reduce your training volume or, in cases of severe pain, stop training altogether. Getting injured cannot only impact the way you run, but may also interfere with how you walk, work, and do everything else in life. Most running injuries are blamed on overuse. They happen over time through repeated force rather than because of a single traumatic event. They also tend to be lower-extremity injuries, often striking the knees, feet, calves, shin, and ankles. Other weight-bearing limbs, such as the thighs, hips, and the back are also prone to injury. Factors that exacerbate these types of injuries include biomechanical or gait problems, training errors, strength and flexibility imbalances, and running in worn-out or improper shoes. Now that you understand what a running injury is, let’s proceed to the good stuff. What follows are some of the most common running injuries along with tips on how to spot them early, how to treat them, and most importantly, and how to avoid them in the first place. Often referred to as Patellofemoral Pain Syndrome, runner’s knee is associated with pain in the knee and around the kneecap—or the patella. More specifically, the condition is an irritation of the cartilage on the underside of the kneecap. This cartilage is located in the patellar tendon and connects to the quads muscle group. Over time, the cartilage wears down, resulting in crippling pain. This notorious condition is the top common injury for runners at an occurrence of 40 percent. The leading culprit behind runner’s knee varies from one runner to the next. Any of the following could contribute to the onset of the condition. Excessive inward foot roll following a foot strike, or overpronation. Stop running, or drastically reduce your running. Next, ice the affected joint for 10 to 15 minutes, three to four times a day. Aggressive treatment options include using a knee brace and/or knee tape or taking anti-inflammatory medication. Seek urgent care if pain gets worse. 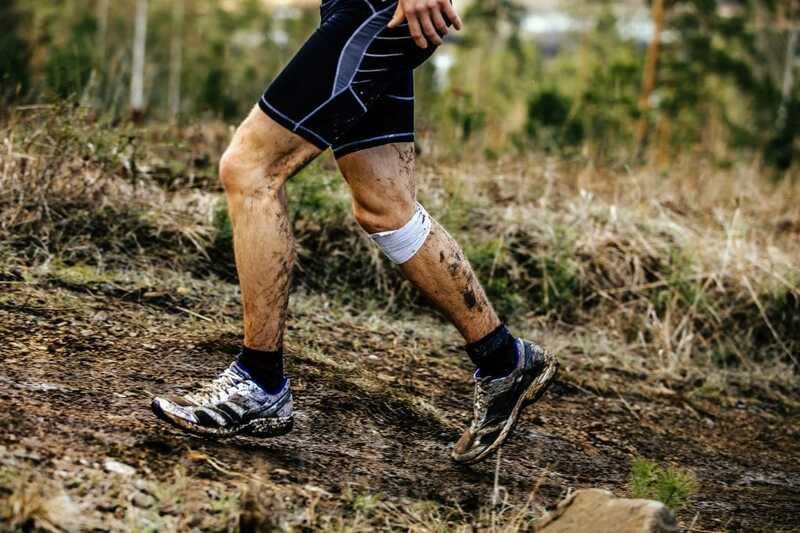 Left unattended, runners knee may progress into a severe ailment that requires surgical intervention, such as fracturing or fissuring of the kneecap. You don’t want that happening to your knee—oh believe me! Strengthen your knee’s support muscles, mainly the quadriceps, hip flexors, and glutes. This should help keep your knees tracking correctly over the femoral groove. Best exercises include wall sits, squats, wall sits, lateral side steps, clamshells, and side-lying leg lifts. Keep your hamstrings and hip flexors flexible and loose. Try this routine. Shorten your stride length while landing with the knee slightly bent. Doing so may take some impact off your knee joint. Get proper running shoes. Check this post. Also known as medial tibial stress syndrome, shin splints are an inflammation of the tendons and/or the muscles located around the shinbone. This overuse injury is caused by microtrauma to the connective tissue around the front portion of the lower leg. Shin splints are common among beginners and those returning to the sport after an extended layoff and account for about 15 to 20 percent of all running injuries, surveys show. Medial tibial stress syndrome manifests as aching, stabbing pain felt along the inside front of the lower leg, roughly halfway down the shin or all along the bone. The pain can range from mild to excruciating, and can be felt in both the front and the outer portion of the shin. Over time, the pain may progress from a slight twinge felt only when running to a stubborn irritation that’s noticeable even at rest. Drastic changes in training volume before your body is prepared to handle the new stress. Running in the wrong and/or excessively worn shoes. Having high arches or flat feet (it’s not your fault, I know). Treatment can often be done at home, but it all starts with cutting back on training volume. Running through pain might eventually lead to a stress fracture, and you don’t want that. Ice the affected shin for 15-20 minute three times a day. You can also elevate the injured limb at night to reduce pain and swelling. Regular stretching might also help, as well as taking over-the-counter anti-inflammatory drugs, using Kinesio Tex tape or running with neoprene sleeves. Increase training volume gradually and slowly. Check this post. Do anterior tibialis muscle exercises. These include toe taps and heel walks. Get more calcium, and Vitamin D. Check my full guide to vitamins for runners here. Also known as “Jumper’s knee,” Achilles tendonitis is an inflammation of the patellar tendon. This is the tendon that runs from the patella to the top of the tibia, and in charge of leg extension during knee-bending movement. Surveys show that the condition has a prevalence of 11 percent. The condition presents as pain that’s felt at the bottom of the kneecap—directly over the patellar tendon. The pain is worse when making any knee bending activity, such as kneeling, squatting, sitting, jumping or ascending stairs. Running on uneven or slanted surfaces. Return slowly and gradually to your previous training volume once you’re pain-free. Strengthen the muscles surrounding the knees to provide more support to the patellar tendon. These include the quads, hamstring, and calves. Keep your calves and hamstrings loose and flexible. Try this routine. The plantar fascia is a thick band of tissue that covers the bones along the bottom of the foot. Inflammation in this band results in plantar fasciitis. According to estimates, plantar fasciitis accounts for roughly 10 to 15 percent of all running injuries. Plantar fasciitis can feel like a throbbing pain on the bottom of your heel or the top of your foot. It typically onsets gradually and slowly over the course of several weeks, but eventually become severe enough to stop any runner from training altogether. The pain is also worse while running or standing first thing in the morning. Standing for extended periods of time, especially on hard surfaces without supportive footwear. Step back from running, especially if pain gets sufficiently severe, and stretch the fascia tissue at least a couple of times per week. Preferably, roll your injured foot over a tennis ball or a frozen water bottle a few minutes at a time, five times a day. A foam roller also helps loosen up the plantar fascia. 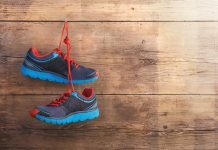 Stability shoes and orthotics can also help limit symptoms and hasten recovery, but they are not a permanent fix. Get proper trainers, ensuring that they fit your foot type and running gait. Here’s how to find the right trainers. Stick to the 10 percent rule. Check this post. Do foot strength exercises. Perform this routine. Improve your running form. Check this post and this post. Sure, running is a non-contact sport, however, its high impact nature may “break bones’, resulting in a stress fracture. More specifically, this notorious overuse injury involves a small crack in a bone as the result of cumulative stress on the bone. The condition can affect any bone in the body, but in runners, the primary weight-bearing bones, such as the metatarsals, the pinky toe, the tibia, are most prone to the injury. A stress fracture onsets as pain around the affected bone that gets worse the longer you run but subsides at rest. Tenderness and swelling around are also common red flags. Pain ranges from mild to sufficiently debilitating to stop you from hitting the pavement for weeks, even months. Overtraining, as in doing too much too soon. Being a woman. Female runners are prone to stress fractures, due to inadequate caloric intake, nutritional deficits, and low estrogen levels. At the onset of pain, avoid high impact exercise, and let the affected bones heal. Cross train during the recovery period.Aqua jogging, yoga, and low-intensity cycling are some of some of the best options for keeping on training while recovering. If symptoms get worse, see a certified physician for immediate medical intervention. Get plenty of Vitamin D and calcium. ITBS is an inflammation of the iliotibial band, which is the thick piece of connective tissue that runs parallel to your femur from the pelvic bone to the knee. When you run or do any sort of knee bending motion, the IT band rubs on the side of the femur to help the knee flex and extend. Do this for an extended period, inflammation and irritation of the band will follow suit. Surveys show that the condition accounts for roughly 12 percent of all running injuries. The condition presents as intense pain around the outside of the knee and/or the hip. 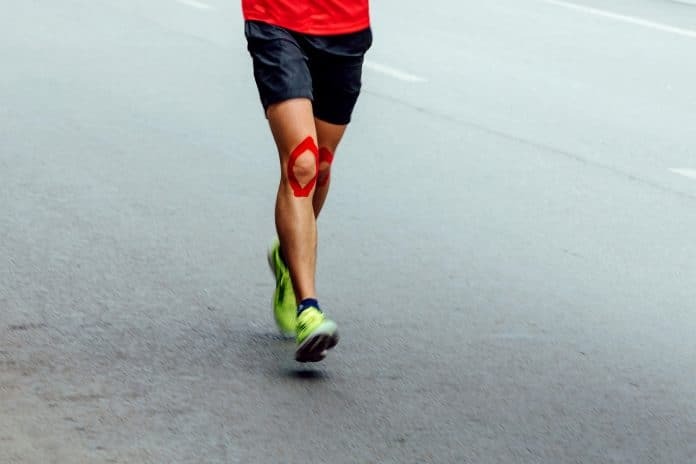 The pain is often felt all the way down on the leg, usually at the end of the iliotibial band where it connects to the outside of the knee. As usual, take a few days off training, or simply reduce your weekly volume for a couple of weeks. Stretching and foam rolling may also help you relieve pain. Use the R.I.C.E method as long as there is a pain. Consider booking a physio appointment or using NSAIDs and other off the counter anti-inflammation drugs when the pain is too much to handle—especially if you start experiencing it on the outside of your knee. The following measures help guard you against ITBS. Strengthen your hip abductors. Do exercises like side leg lifts, lateral side steps, and one-legged squats. Shorten your stride length by improving your cadence turnover. Here’s how. Respect the 10 percent rule. There you have it. The above guidelines are the rules of thumb for spotting, treating, and preventing some of the most common running injuries. Now it’s up to you to put this information into practice.